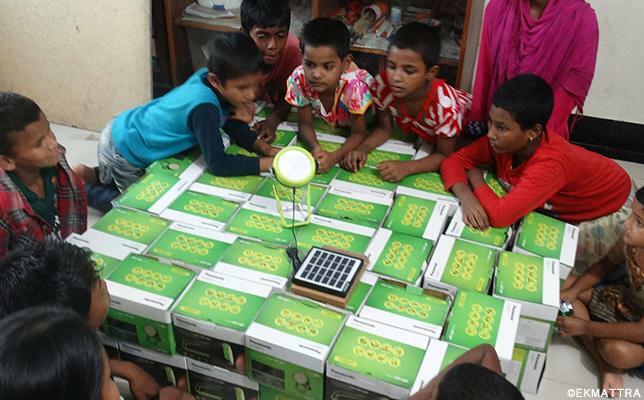 In March 2016, Panasonic donated 760 solar LED lights to four organizations in Bangladesh. 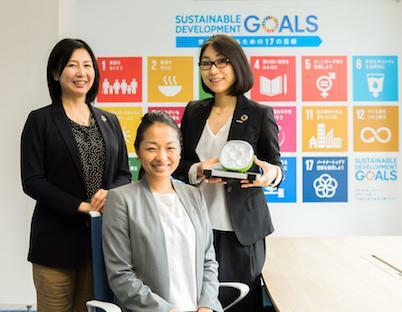 Halhisa Okuda of the Panasonic CSR & Citizenship Department met with Hiroki Watanabe, advisor to the EKMATTRA Society, one of the recipients, which supports education for children living on the streets. Okuda: We haven't met since we were both in Bangladesh in July last year. How have you been? There has recently been a chain of attacks against foreigners and I was worried when I heard about the terrorist attack in Dhaka this July. Watanabe: Thank you. The recent attack didn't have any direct influence on EKMATTRA activities or the children, but we are now more cautious than ever when it comes to safety management. Okuda: Often, news coming out of Bangladesh is not so positive but I absolutely love the country's energy. There is a lot of economic inequality but I sense the people's drive to move forward and their conviction that "through effort, the future can be built." Watanabe: Bangladesh has experienced rapid economic growth in recent years. Particularly in the capital of Dhaka, abundance of labor and the city's potential market scale is attracting a lot of attention, and also attracting a lot of people from inside and outside the country. All this has made the city livelier than ever. Meanwhile, infrastructure development is lagging behind, many people still live in poor conditions, and the gap between urban and rural areas continues to widen. Okuda: Helping children learn to become the leaders of tomorrow is a key for society to develop in a better way. EKMATTRA's actions are precious in that they shape the future for children and act as a stepping stone for the country's development. Please tell us how the organization was established. Watanabe: I could not forget the shock I got when I first encountered children living in the slums of Phuket in Thailand, and headed to Bangladesh with hopes of putting my thoughts into action. 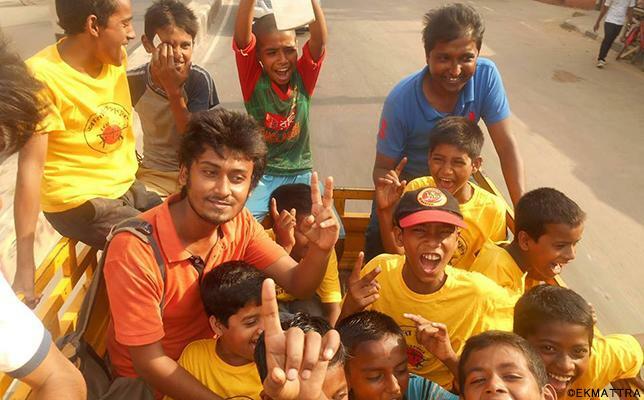 Later, in 2003, together with local university students I met while studying at the University of Dhaka, I started interacting with street children. Learning about their harsh conditions motivated us to establish EKMATTRA. 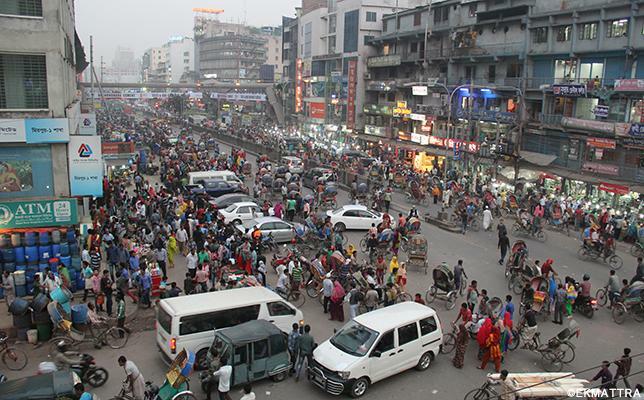 In Dhaka, there are reportedly more than one million street children, of which many are forced into prostitution, drug dealing, and other illegal activities as well as heavy labor. They are tossed around by the interests of adults and are forced into a harsh reality where they have no choice but to live their entire lives in the dark shadows of society. Okuda: In Dhaka, I saw small children carrying heavy loads and begging. But their carefree smiles despite their severe conditions left a strong impression on me. They are living life with resilience. EKMATTRA seeks out these kids' potential and works to nurture that potential. Watanabe: EKMATTRA started as an "Open Sky School" teaching basic reading, writing, and music to children who were forced to live on the streets and to kids who couldn't attend school for various other reasons. That was our first step, and in 2004, we went on to our second step when we opened the "EKMATTRA Children Home" for the children who were motivated to learn more through our Open Sky School. At the Home, children who had lived on the streets are able to learn the rules of living with others and acquire social skills while sharing food, clothing, and shelter. Okuda: A young man kindly helped me out when I visited the Children Home. How is he doing? Watanabe: That would be Dipu. He is studying hard right now for the entrance exam to the University of Dhaka in November. The University of Dhaka is the top national university, like the University of Tokyo in Japan, and three more high school students besides him are scheduled to take the exam as well. Okuda: Street children taking the challenge to get into the country's highest educational institution. That is amazing! And their current situation would not have been possible had it not been for EKMATTRA. Watanabe: I've known Dipu since he was six years old and it feels like we share a common destiny. It's very moving when I hear someone like him who had once lived on the street talk now about wanting to give opportunities to children living in a situation like he once did. Okuda: And you will soon be completing construction of the EKMATTRA-DBBL Academy, a boarding-school type of vocational training facility, right? Watanabe: That's right. 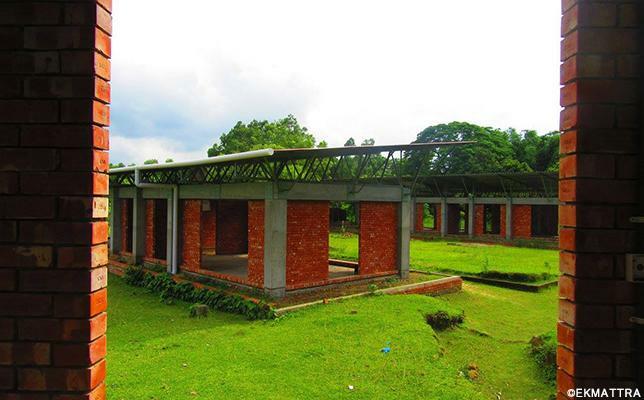 This is our third step, following the Open Sky School and Children Home. Students at the Academy will study English and information technology, so that they can pave their future with their own hands. We want to instill them with cultural education and a sense of humanity, and nurture them to be leaders of tomorrow with expansive values and capable of bringing others along. If we can make this happen, they will be a true hope for children living on the streets. 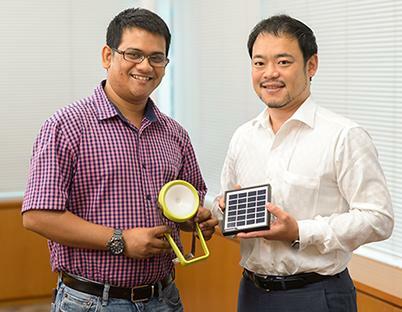 Okuda: How have the solar LED lights been received and how are they being used? Watanabe: Everyone loves the cool design, along with the fact that they are compact and batteries last so long. The children came up with ideas on how they should be used and now, at the Children Home, they are mainly used during the frequent blackouts in Dhaka. Preparing for and reviewing after class is crucial if they are to keep up with studies at school, but they cannot study when they want if everything is dark due to a blackout. They can now study without breaking their concentration, under the bright light of the solar LED lights. 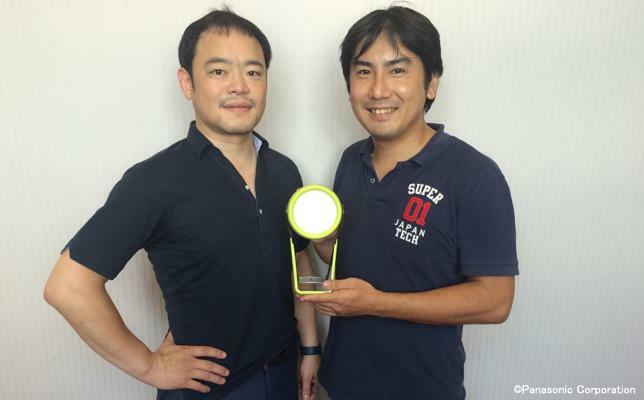 Okuda: How do you plan to use the lights at the Academy? Watanabe: Once the Academy is finished, we plan to use them for night time studies and at the library annex. We also consider the employment conditions of the children's parents and provide support for craft making by women living in nearby villages that have no electricity, so we plan to use the lights in these activities as well. 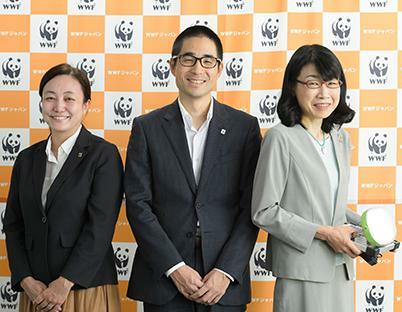 Okuda: It is great that you are dedicated to addressing other issues that are directly connected with children's poverty. We would also like to continue doing what we can to shine light on the future of the children studying hard at the Academy, as well as the people living in villages without electricity. Watanabe: Social enterprises are very active in Bangladesh, and the country is very receptive to activities that benefit society. Please do continue working with us to support the future of this country, building on the brand power of things "made in Japan." Thank you!